Baked flapjack oat bar with raisins, apple pieces and cinnamon. 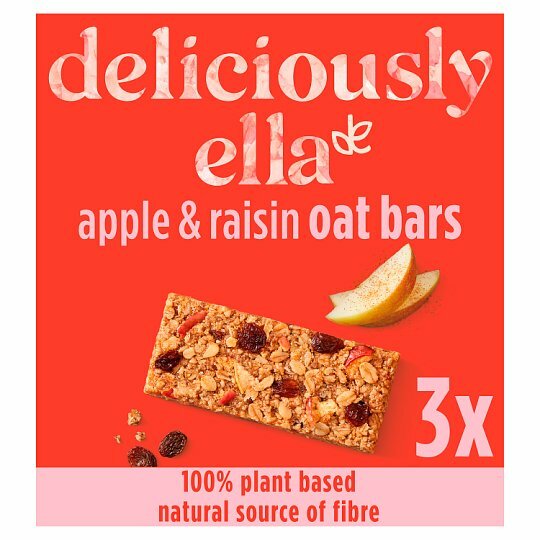 Sweet, chewy and delicious, our classic oat bars are filled with chopped apple, juicy raisins, gluten free oats and a touch of cinnamon. Baked in small batches, and packed with fibre, they are the perfect fruity snack.